Where does my pink wine experience begin? Not so gloriously. I have to admit, my first pink was not even the first straw colored, “dry” Sutter Home, but must have been a Carlo Rossi Pink Chablis (out of a four-liter jug) at a party in the Haight-Ashbury district of San Francisco. Though possible it was a syrupy sweet Ripple Pagan Pink. Memories that began my wine journey, kind of on the yuck side, but one that I had to take. They often say that one never makes it to the top unless one knows what the bottom is like. Years later when I found “sophistication,” I discovered Rosé Champagne and learned how incredible that can be. While a lot of American wine drinkers did not understand the category, I learned over time that one should never turn down a glass of Dom Pérignon Rosé, ever! But the road to rosé credibility failed to materialize in the world of dry rose; these wines were left in the hands of a minuscule number of wine geeks. In the mid to late 1970’s, the category called blush took the market by storm. The industry pushed and succeeded to make a kind of kool-aid wine that they hoped would transform generations of cola drinkers into wine drinkers. It worked, but it also sent mixed messages about the color pink (orange, salmon, eye of the partridge, etc.). True students of wine struggled with this phenomenon because it devalued highly prized wines such as Tavel from the Rhone, Clairette from Bordeaux and of course, the aforementioned Champagne Rosé. The wine world created a mixed category that lumped the dry rosé with the more popular sweet blush, and the view most sophisticated wine drinkers had was rosé =sweet. So where are we today? Rosé is now a legitimate fine wine category. Producers have globally begun to craft superior wines that pair incredibly well with food. Over the last two decades, countries from below the equator (where the seasons are opposite from the northern hemisphere) have begun to supply the global market with some of the world’s best rosés and ensuring that this category’s pipeline never runs dry (of dry super premium wines so to speak). 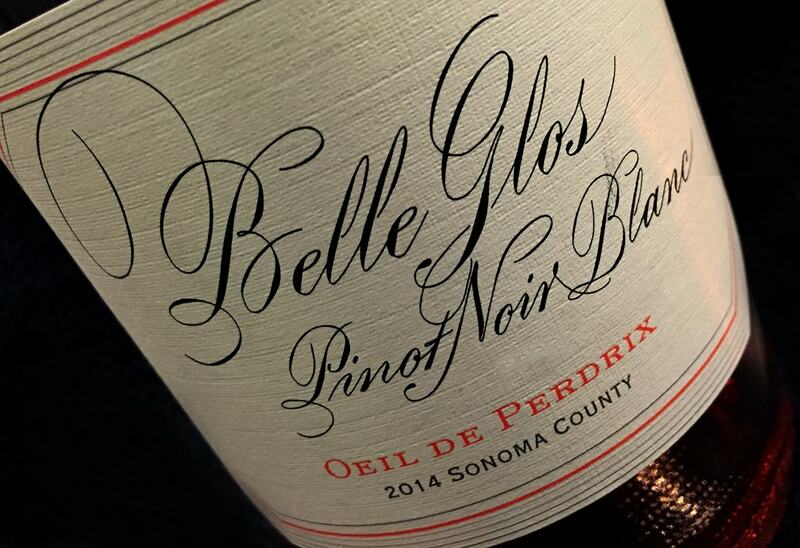 Among my recent favorites: the brisk, bright minerally 2014 Red Car Rosé of Pinot Noir from the Sonoma Coast, the charming and aromatic 2014 Belle Glos Oeil de Perdrix (eye of the partridge) from Sonoma County and the 2013 Sierra Cantribria from Rioja, Spain. Take it from one who loves wine, there has never been a better time than now to step into the world of pink wines, your palate will be happily satisfied and your soul will gain insights into the world of rosé! Previous PostHappy Moscato Day!Next PostThe future of Australia… it’s bright indeed! Hi Wilfred, I have tasted this brand of wine during my Europe trip – last year. It’s a great experience for any wine lover. Thanks for your comment, this is a very tasty and really likeable vin gris and fits the drinking style of many wine lovers, experienced or otherwise. i’ll be traveling to europe shortly and i’ll keep my eye out for this wine. looks tasty!